BestBullySticks is a company that makes all natural, no chemicals or preservative high quality bully sticks, dog treats, and dog chews. All of their products are 100% all natural and come from free range cattle, none of which are fed hormones or antibiotics. 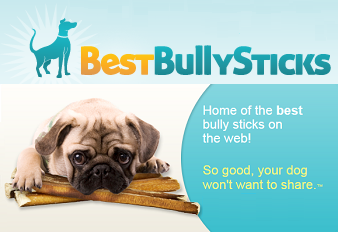 BestBullySticks are easy to digest while cleaning teeth and reducing tartar. Bully sticks are better than rawhide because they are naturally low in fat. 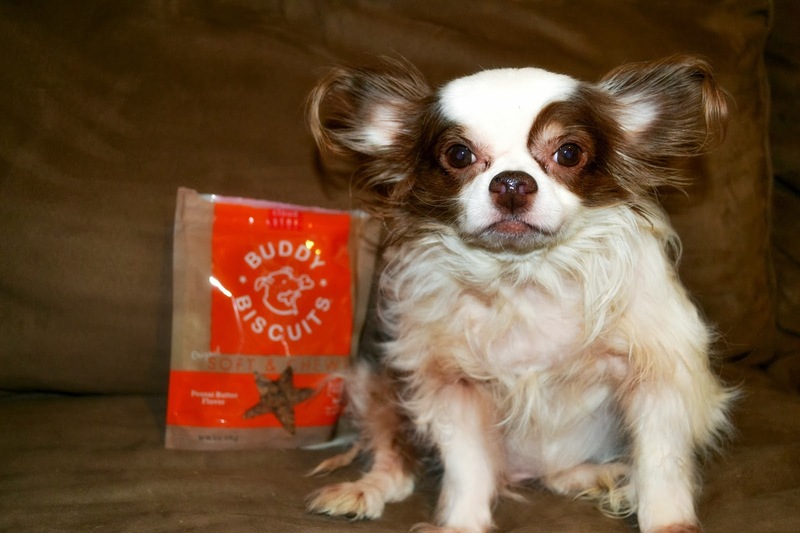 Approved by the USDA, these 100% digestible treats are one of my dog's favorite treats. 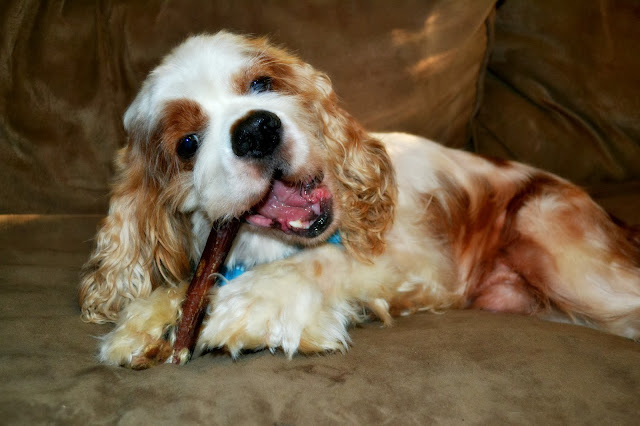 HAPPINESS IS A BULLY STICK! When my BestBullyStick package arrived my dogs immediately knew this was no ordinary box. They sniffed it over and over again, wag their tails non-stop, and barked at me like with that look like "well are you planning to open the box anytime soon? We can smell yummy treats a mile away". I honestly, have never seen them behave like this. I was just as curious as them to see what was inside the box. As soon as I opened it, my Cocker Spaniel started begging me to open one of the bags. I hesitated because I wanted to take pictures of the products for the review but he was sooo insistent that I just couldn't put the treats back and not give him one. Watch below how he is absolutely hypnotized by the smell of the BestBullySticks chews and treats. If you have a small dog you might what to buy the chicken jerkey, a delicious alternative to bacon strips! This dog treat is 100% all natural chicken ranging in sizes from 4 to 6 inches in length and approximately 1" to 1 1/2" wide. The flavor of this dog treat is not masked by any additives, preservatives, or chemicals your pooch will absolutely drool over this dog treat. Another treat that was well received by my dogs, are the Buddy Biscuits peanut butters treats. These are soft chews so if you have a small dog, or an older dog they are going to appreciate this. If you are planning to order during the month of October BestBullySticks are offering spooky good savings just in time for HOWL-O-Ween! Up to 31% off Treats, Costumes & More! BestBullystick is an excellent company with outstanding high quality treats for your dogs and cats! Yes cats! If you want to know about new products, natural recipes, news and promotions you can follow their blog, Facebook and Twitter pages. Disclosure: I did not receive any compensation for this post. I was provided products by BestBullySticks to test for a fair and honest review, comprised of personal research, product use, and personal opinion. All opinions expressed are my own.